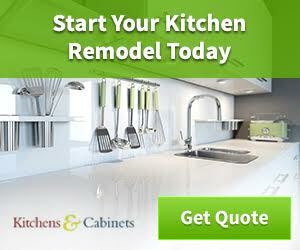 You’ve installed some beautiful granite countertops and are really enjoying your new kitchen or bathroom. Now you are wondering how to keep that granite looking shiny and new for many years to come. Here are some simple granite countertop maintenance tips to make sure that your granite keeps its beautiful appearance. Just like with any type of countertop, granite should be wiped clean daily. Not only to keep spills from staining, but also to remove any germs and bacteria. Simply use a mild dish soap or antibacterial agent and gently wipe with a soft, clean cloth. Then using a new cloth, rinse the area with warm water. If something that may stain spills on the counter, do the same thing, only blot the spot as to not spread the stain onto other parts of the granite. If your granite is sealed well, there shouldn’t be much of a worry of anything staining it, so long as you wipe up the stain immediately. Every month or so, perform a deep cleaning on your granite. Especially if daily cleaning is neglected (hey its ok, life is busy!) Purchasing a deep cleaning grease fighter is the best way to deeply clean your granite countertops. Following the directions closely on the can, spray the degreasing, deep cleaning solution on your counter. Make sure the product that you choose is a product made specifically for use on granite and stone. Sometimes the cleaner used in your monthly deep cleaning ritual is not enough to get out some really stuck on stains. You can always purchase a clay based Poultice spray to attempt to gently get the stain out. However, the use of Poultice, can reduce the luster of your granite countertop. If this happens apply a marble polish to restore it to its previous beauty. 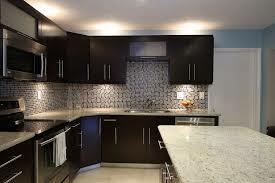 Most granite manufacturers apply a resin coating to their granite before it leaves the factory. These resin coatings make the granite more durable and stain resistant, especially to water, fat or grease based stains. These coating should last around ten to fifteen years. However, be sure to check with your granite provider to make sure this was done. If you find that your granite is not properly sealed, resealing it isn’t too much of a hassle. Making sure you provide proper ventilation in your kitchen or bath, (using fans and opening windows) thoroughly clean your granite countertop and allow it to air dry for around four to five hours. Next pour the sealant on top of the countertop and spread it with a paintbrush, paper towel or soft cloth. Let the sealer sit on the granite for five minutes, if the sealant is completely soaked in, apply more and let sit for another ten minutes. If the sealant is not all soaked in, wait five more minutes. After the waiting period is over, simply blot up any wet spots and let the sealant sit to set for about twelve hours. Just some small extra tips to help keep your granite looking great! Do not place hot pots or pans directly on your granite as the heat could ruin the sealant and eventually the stone. Also, do not climb up on the counters, standing on them, even stone can break. Place mats under appliances or things that could scratch the granite when being slid across. Lastly, always use a cutting board when preparing food. If you follow this care regimen, you will be able to keep your granite countertops looking brand new for years and years to come!